"A poet brave enough to return poetry to its troubled and eternal origins...This is the poet I trust to see the world as it is, quietly writhing around us, like Kafka and Rilke before him." 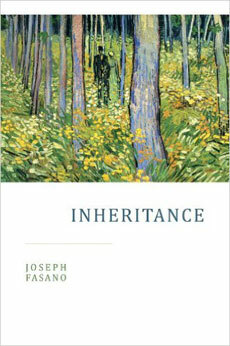 Joseph Fasano is the author of four books of poetry: The Crossing (Cider Press Review, 2018), praised by Ilya Kaminsky for its "lush drive to live, even in the darkest moments"; Vincent (2015), which Rain Taxi Review hailed as a "major literary achievement"; Inheritance (2014), a James Laughlin Award nominee; and Fugue for Other Hands (2013), which won the Cider Press Review Book Award and was nominated for the Poets' Prize, "awarded annually for the best book of verse published by a living American poet two years prior to the award." His novel, The Dark Heart of Every Wild Thing, will be released by Platypus Press in 2020. A winner of the RATTLE Poetry Prize, he serves on the Editorial Board of Alice James Books, and he is the Director of the Unamuno Poem Project, an initiative aimed at fostering dialogue between English-language and Spanish-language poetics. 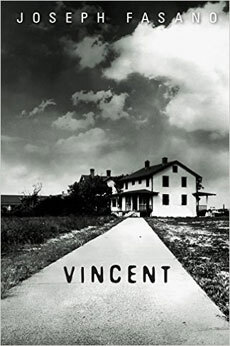 His writing has appeared in The Yale Review, The Southern Review, The Missouri Review, Boston Review, The Times Literary Supplement, The American Literary Review, Measure, Passages North, Tin House, and other publications. He has been featured in the Academy of American Poets' poem-a-day program, the PEN Poetry Series, and Verse Daily, and his work is included in the anthologies Poem-a-Day: 365 Poems for Every Occasion (Abrams, 2015) and The Aeolian Harp (Glass Lyre Press, 2016). He teaches at Manhattanville College and Columbia University. 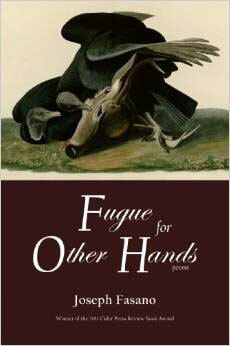 "Fasano makes pain almost bearable with the beauty of his language, the wild leaps of his metaphors. His is a strong and original voice."